2019 started with a real bang for me, as I manifested one of the gigs I had been wanting to do for a while – Rainbow Serpent Festival, Australia. It was an incredible adventure flying to the other side of the world to share my art with a tribe of old and new friends. This festival is unlike any others I’ve performed at before – with its beautiful site and art installations, incredible sound systems shooting a wide variety of music, there is at its very core a strongly felt desire to provide a platform for self expression, discovery and connection. Big thanks to Rainbow Serpent and especially to the crew at the Fiasco stage for welcoming me and my hoops open heartedly. Australia, you are blowing my mind. 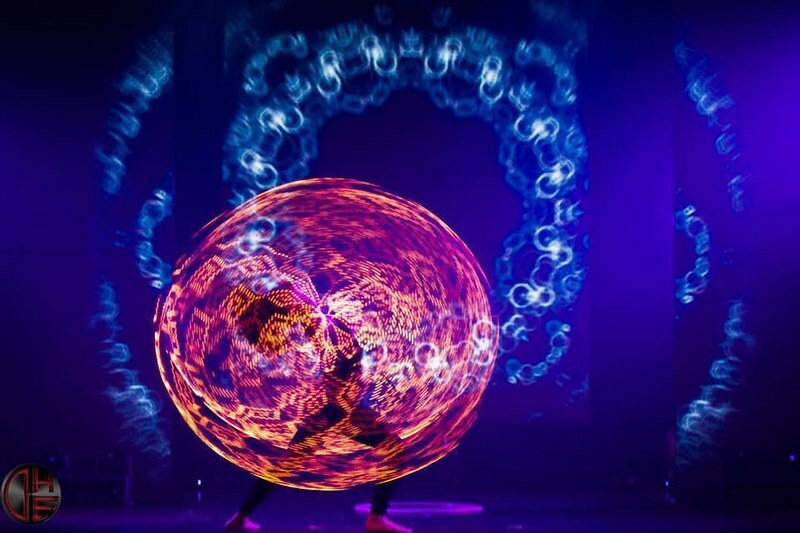 This Christmas brought me back to my roots as I got to spin fire every night with the amazing Grace Billings from Flame Oz, as part of the Cirque Lumiere Christmas parties – a circus extravaganza set in the beautiful Bloomsbury Big Top, London. 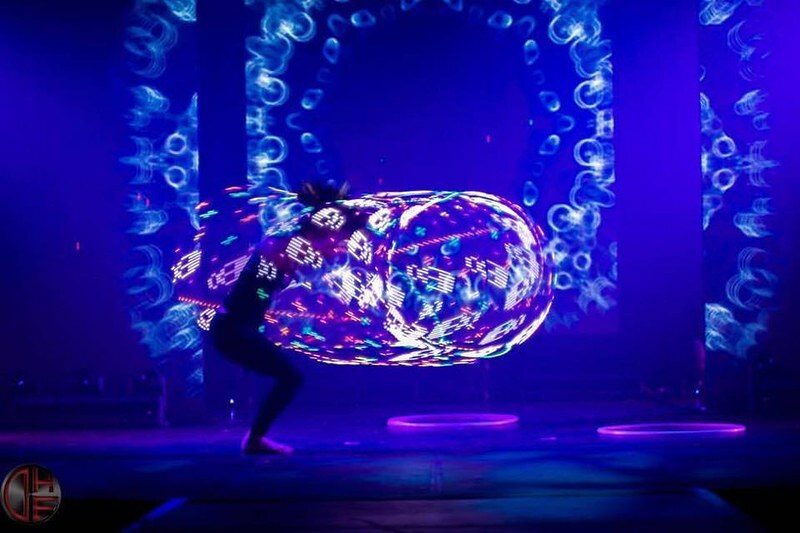 You may remember that Grace and I collaborated before, on the creation of ‘Teardrop’, an exquisite LED hula hoop act that combines dance and smart technology LED hoops. This season we not only got to perform our hoop duo, but we also devised a sassy fire act that combines fire eating, fire ropes and lyco – HUGE FLAMES! A lot of fun was had and I’m looking forward to fresh collaborations with Flame Oz in the new year. Thanks to the whole cast and crew in the Big Top, we made a lot of people happy! I have been collaborating with The Immersive Ensemble for a while now – I just love performing with this crew and transporting guests into the wonderful jazz age, with all its fun and glamour. This Christmas, not only did we take over the majestic Taj Hotel, St James Court, London, for a run of Christmas parties, we also performed at Somerley House to entertain Muse and their guests during Chris Wolstenholme’s wedding celebrations. SO EXCITING! Here’s to more incredible adventures in the new year! A celebration of the intoxicating, wild feminine and the divine, creative power of Shakti. 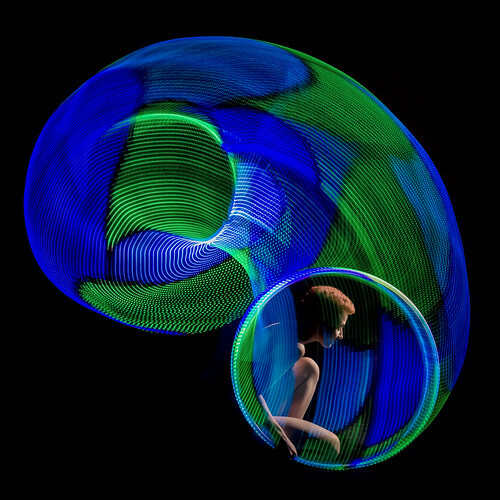 ‘Kali’ is a highly-skilled, sophisticated and sassy performance that combines dance and hula hooping with the latest, cutting-edge LED technology. 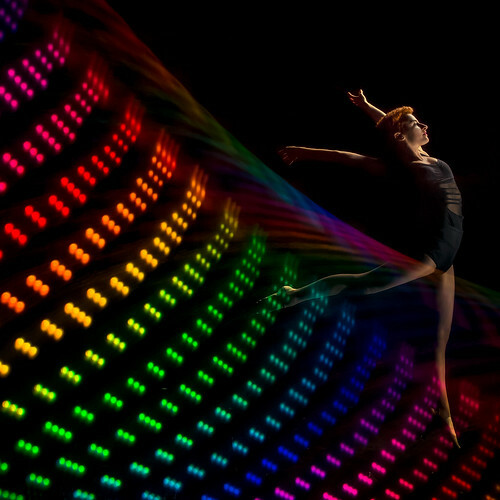 Custom illuminating colours, patterns and graphics are delivered on stage in conjunction with seamless movements and choreography, to create an unforgettable, multi-dimensional visual experience. Drawing inspiration from Hindu mythology and African music, Silvia channels the Tantric Goddess of love and destruction in a fast-paced, psychedelic act that aims at inspiring women to embrace their inner wilderness and creative power. Performed in ‘Club Briefs’, Underbelly Festival 2017, London. Filmed and edited by Infinite Ear. Very special thanks to Briefs Factory, the Box London and the wonderful Koh Phangan. Photos above were taken from another exhilarating run of Club Briefs, at Kempinski Seychelles Resort, Mahe Island, October 2017. One of my highlights of 2016 was having the opportunity to collaborate with another hula hoop warrior – actually, one of the very first hula hoopers I ever met, years ago – the amazing Grace Billings. 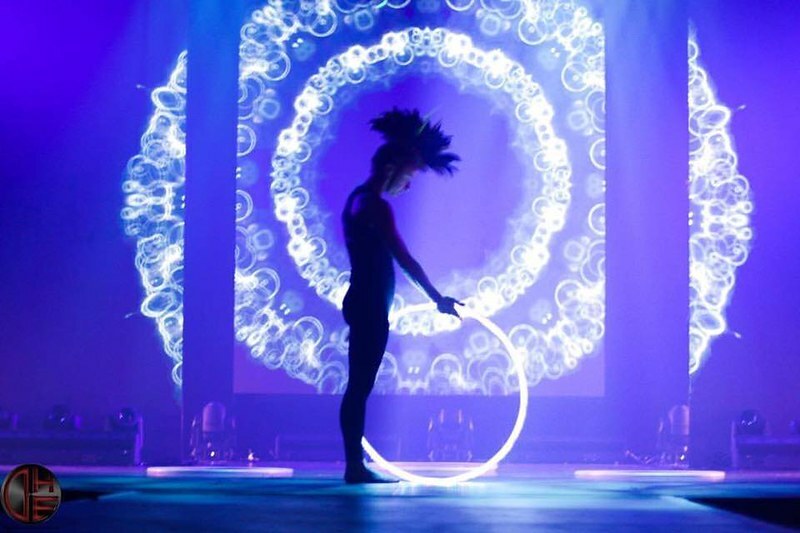 Within one month of long distance rehearsals, we created a powerful LED hoop duo for a run of Christmas shows at Bloomsbury Big Top, London, as part of ‘Cirque Extraordinaire’. 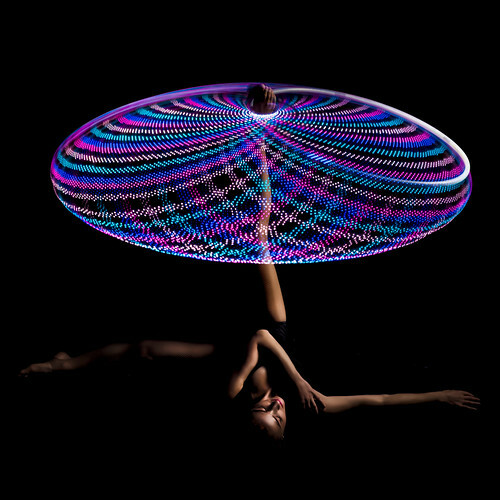 Teardrop is a highly-skilled, sophisticated and sassy performance that combines dance and hula hooping with the latest, cutting-edge LED technology. Custom illuminating colours, patterns and graphics are delivered on stage in conjunction with seamless movements and choreography, to create an unforgettable, multi-dimensional visual experience.